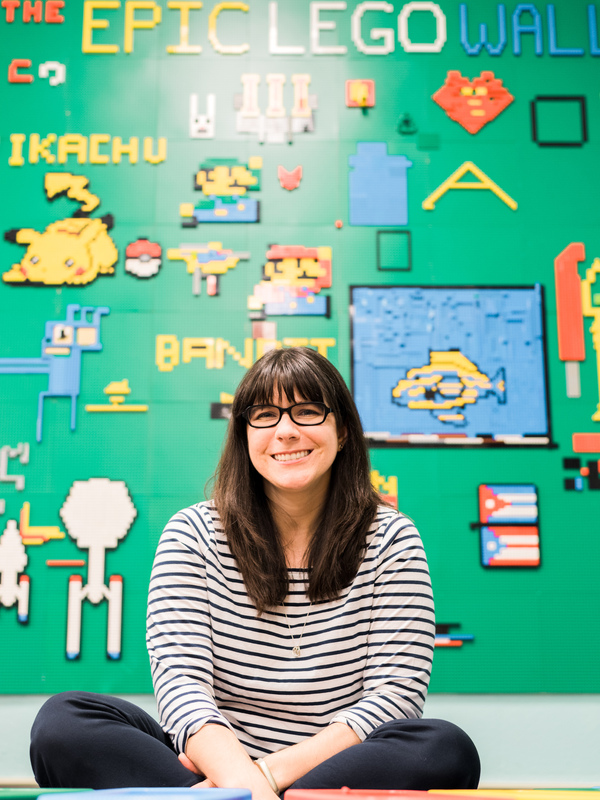 As I’ve been researching and reading up on the Maker Movement, one of the most common things I hear from other librarians and educators is that they aren’t sure how to start, or they’re worried about teacher perception. One easy way to get your students and teachers exposed to the Maker Movement (or really, DIY in general), is to bring Maker Ideas into your existing programs. Love them or hate them, many school librarians have reading incentive parties or honor roll parties every quarter. 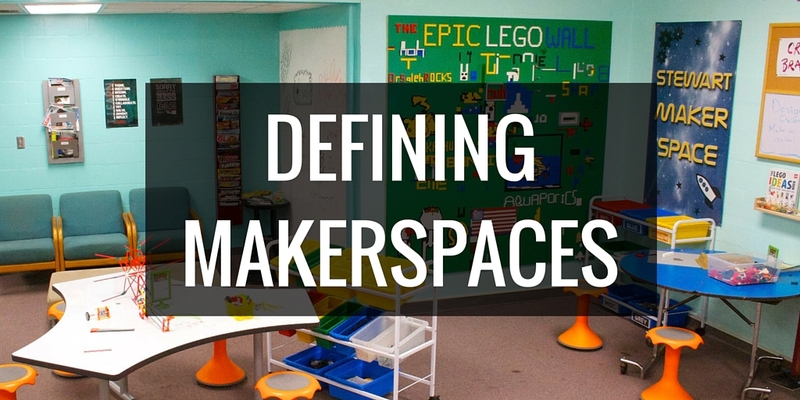 These parties are amazing opportunities to add some Maker activities in. Before I got to my school, these events were inevitably pizza parties where students sat around, got random prizes, and socialized. When asked about it, most students told me that they got bored of these parties after awhile and didn’t really try to get in. So I changed things up by adding craft stations. Little did I know at the time that this was the start of the Maker Movement at my school. Our last party had several stations, some more Maker than others. 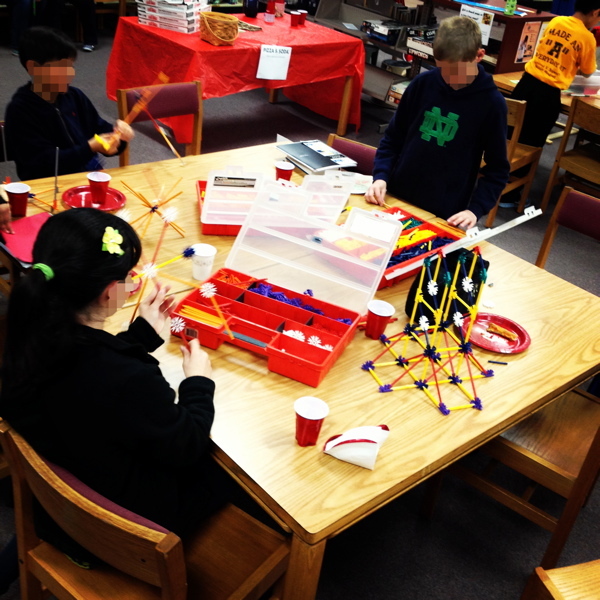 At one table, students got to free build with our library’s K’nex. At another, we had several rolls of duct tape available. 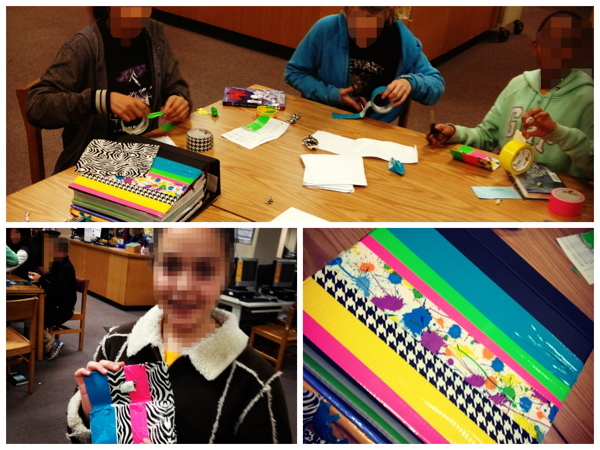 I trained a couple student assistants on how to make duct tape wallets, and then they helped the students at the party with theirs. One student even covered her entire notebook in duct tape! At another table, we set up an old TV and a regular Xbox. 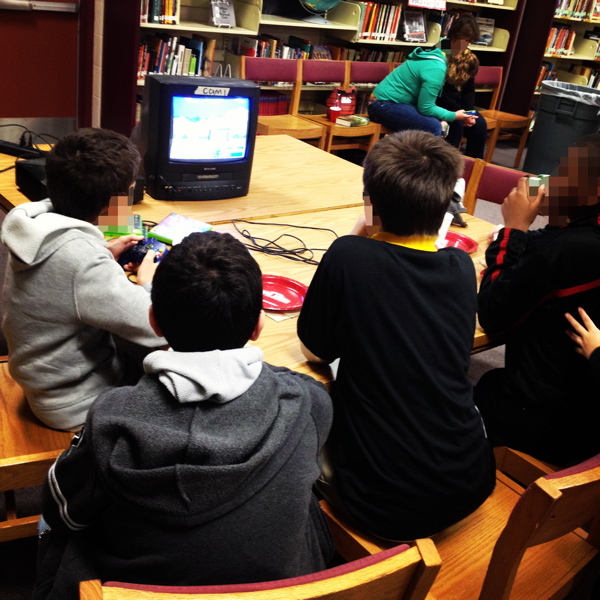 We had discs with classic video games available for students, mostly Atari and Namco games (my favorite quote of the day, “Miss, can you write me a pass to my next class? I need to finish my high score on Dig Dug.”) While the students weren’t actually creating anything with the video game station, many of these students take game design, and it was a great opportunity for them to see the heritage of what they create today. What DIY activities have your tried at incentive parties before? What’s your plan for next steps?